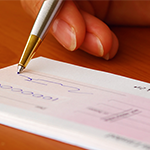 Individuals and Corporate organisations can apply for this loan. 1) What is the tenor for fixed deposit? It varies between 30 days and 360 days. 2) Can the investment be rolled –over? 3) Can the investment be terminated before maturity? Yes, investment can be terminated before maturity; however a portion of accrued interest will be forfeited. 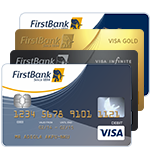 Bank Cards: Get easy access to your money anytime, anywhere in the world with your FirstBank cards. 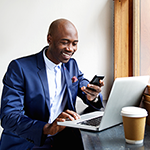 FirstOnline: Lets you perform banking transactions via internet, from wherever you are in the world.